Next week, I’ll be moving (no, not to Canada). Among the piles in my bedroom is a huge box of yarn, with skeins from Kim of The Woolen Rabbit and Nikki of Dark Harbour Yarn that are for sale on Indie Untangled. I’m hoping that the skeins go to good homes before I put the box on a moving truck, so I’ve decided to hold a little sale. Through Monday, Nov. 14, all yarn is 15% off with the code MOVING. If you buy from multiple shops, I’m happy to combine shipping. 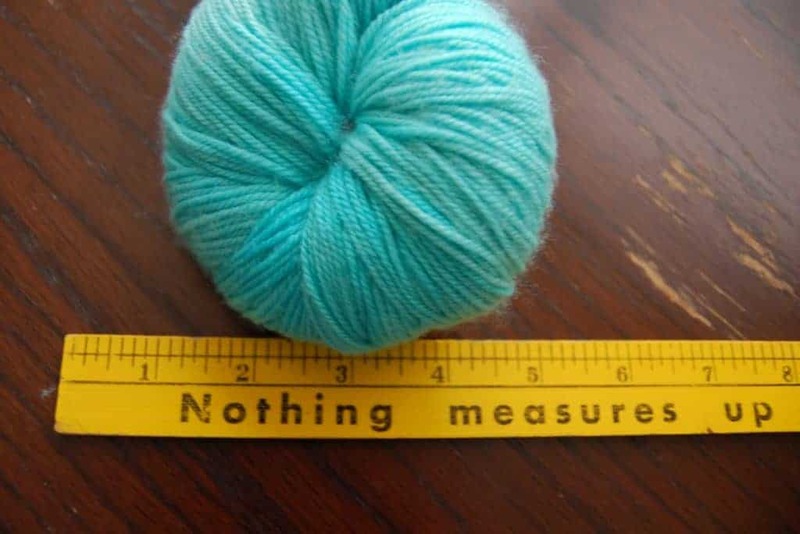 What, other than yarn, could bring a smile to your face? Adorable animals! 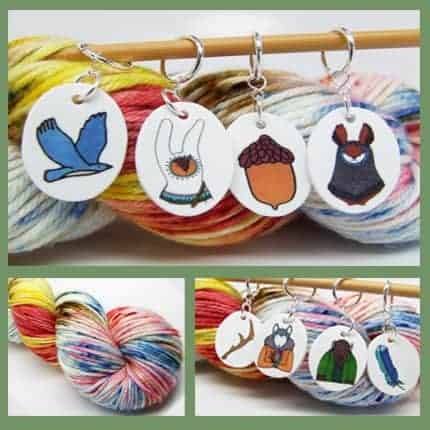 Julia of Pandia’s Jewels has collaborated with Noel of Wanderlust Woolves on Winter Woodland Animal kits. The kits, available to preorder until Nov. 13, include a choice of stitch markers, a project bag, a skein of worsted-weight yarn in an exclusive color and a download code for Noel’s Neko Cowl. 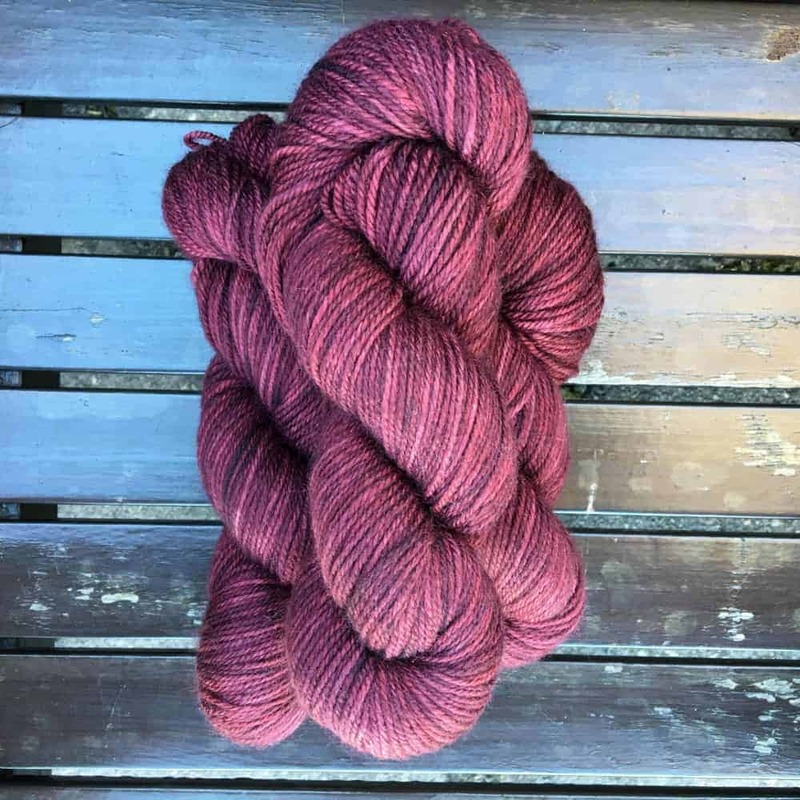 Despondent Dyes, but this mother-daughter dyeing operation is anything but. 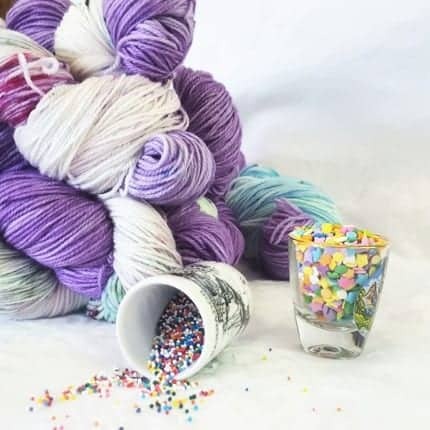 For every skein of their bright, cheerful yarn that you buy, the pair will donate $1 to charity, to celebrate their second year in business. Through November, their charity is Hope for Paws, an animal rescue operating out of Southern California. This entry was posted in What to Stash and tagged bags, cowls, discount, kits, limited, patterns, pre-orders, sale, stitch markers, yarn.